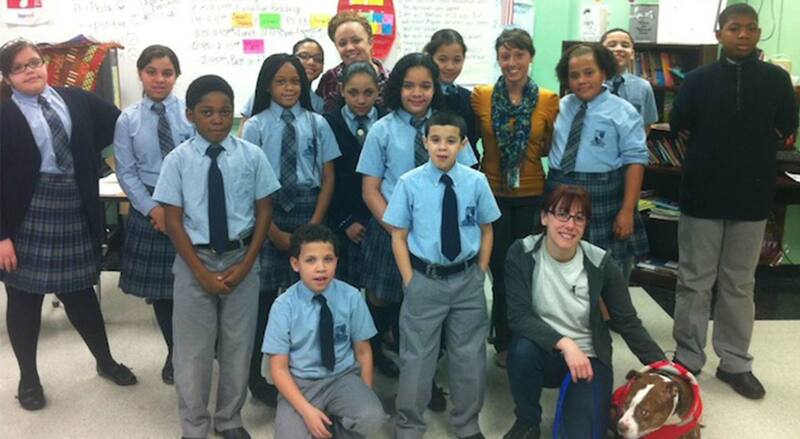 PAWS’ Humane Education program brings PAWS representatives and rescued animals to classrooms and community centers throughout Philadelphia. These educational and fun sessions celebrate the bond between people and pets and offer a meaningful understanding of the importance of treating animals humanely. Allison Lamond, PAWS’ Community Outreach and Volunteer Coordinator, gives presentations throughout the year in schools, community centers, and businesses. While our presentations are free of charge, we do encourage a monetary donation or collection of supplies for the shelter. If you are interested in scheduling a visit, please email allison@phillypaws.org. We offer several topics for our classroom visits. All programs include an overview of PAWS (our mission/how to get involved) and can be customized. Presentations last about an hour and can cover two topics.  Safe interactions – Students learn how to safely approach a dog and cat, understand basic animal body language, help prevent bites, what to do if they see a loose/stray animal, and what to do if they suspect an animal is being abused (all grades). Why should we spay/neuter? – Students have a math lesson on pet overpopulation and learn the health benefits for pets who are spayed/neutered (all grades). Veterinary care – Students learn about the importance of regular veterinary care and the availability of low-cost basic veterinary services in their communities. What are Puppy Mills? – Students learn what puppy mills are and why it is important to adopt from a shelter or rescue rather than buy a pet (grades 6+). I want a pet! – Students learn what a pet needs to be properly cared for and the commitment a pet owner makes; why it is important to adopt rather than buy a pet; and where people can adopt dogs and cats in Philadelphia (all grades). Pit Bull Myth-Busting – Students learn some of the common myths about dogs labeled as “pit bulls,” along with facts and information to dispel them. Students are challenged to think about why these myths came to be and how damaging stereotypes and myths are, not just to “pit bulls,” but to the community in general. For presentations to community groups, senior centers, businesses, etc., there must be a minimum of 10 people. There is no maximum group size. Presentations usually last about an hour, include basic information about PAWS and its services to animals and pet owners, and can include up to five of the topics listed below. Adopting a pet – We discuss the commitment and care necessary to properly care for a new pet, where you can go to adopt, what the application process consists of, how to choose a new pet that is right for you/your household, etc. What is fostering? – We discuss the importance of fostering for animal shelters and rescues working to save lives, what the commitment consists of, and how to get started. How can I help? – We discuss the importance of donations to PAWS’ lifesaving efforts, whether monetary, in-kind (wish list items), or in the form of time (volunteering). Benefits of Spay/Neuter – We discuss the benefits of spay/neuter to both individual pets and the community as a whole, as well as pet overpopulation, trap-neuter-release programs, and other efforts to reduce pet homelessness. Safe animal interactions – We discuss preventing bites from a dog or cat, how to safely approach an animal, what to do if you see a stray animal or suspect an animal is being abused. The Truth about Pit Bulls – We discuss how dogs are identified as “pit bulls,” their history, why there are so many in the city, and why they should be treated equally. The Truth about Declawing – We discuss the specifics about cat declawing and alternatives to having the surgery that address owners’ behavioral concerns. Special thanks to Petfinder Foundation and Build-A-Bear Foundation for supporting PAWS’ humane education programs.